There are no comments for Spring Melody. Click here to post the first comment. This original Chinese brush painting transmits good luck, harmony, and long lasting spring. 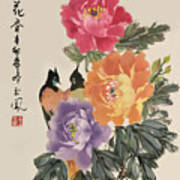 Originated in China, peony flowers resemble love, luck, and lasting spring. 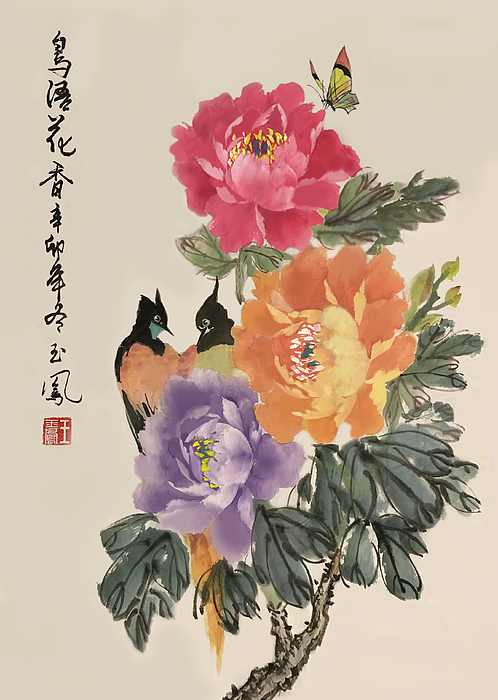 The butterfly represents hope and beauty, and the two birds are symbols of life and longevity in China. This painting is a great addition to any room or hallway, particularly the living room or family room. 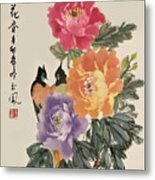 Existed for thousands of years, Chinese brush painting uses naturally made ink and color on silk and paper. 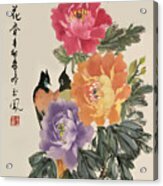 Calligraphy, poetry, and artist self-made stamp are integral part this traditional form of artistic expression.